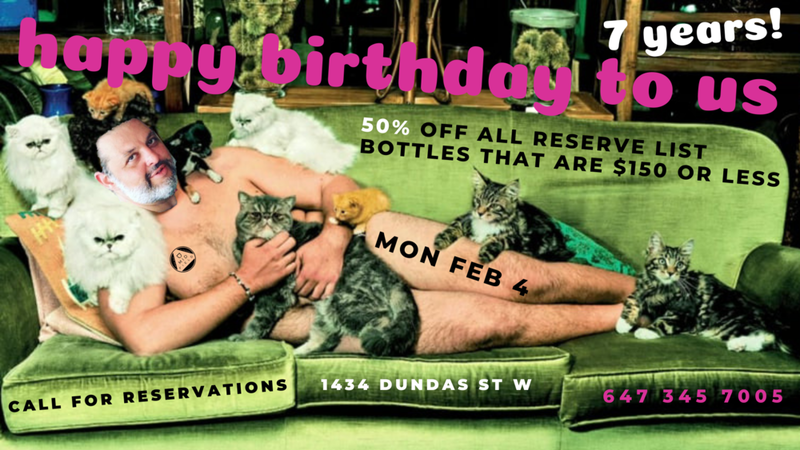 We are turning 7 years old and we want you to come and raid the cellar (so to speak). It truly has been our pleasure to have the support of so many amazing wine-loving people such as yourselves and we want to show you some extra love in return. Come party with us! !